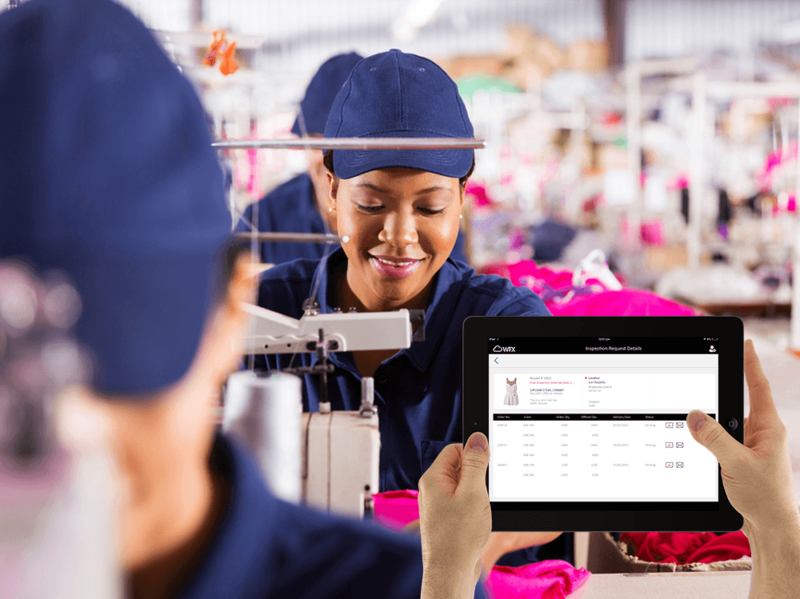 Quality control of shipments is critical for companies in the retail, apparel, footwear, luxury and consumer goods industries. 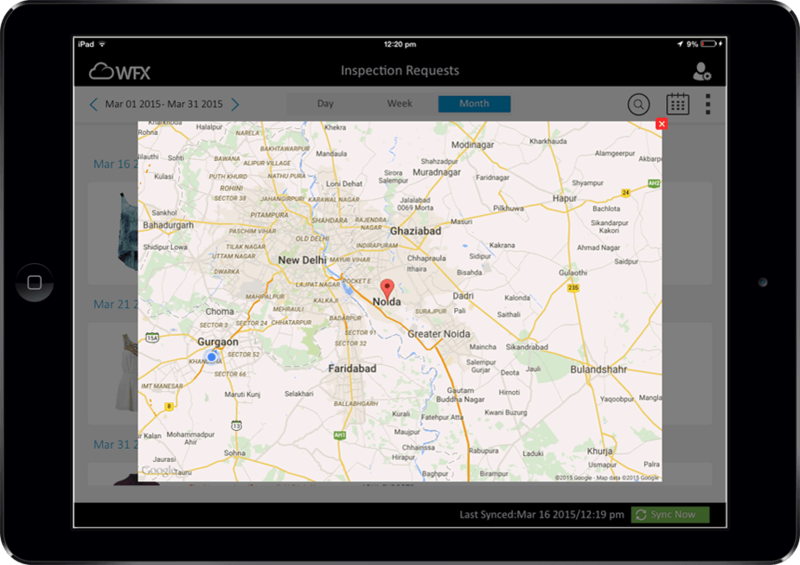 WFX QC Mobile App is an easy-to-use app automates the quality control process by enabling QC personnel to conduct, capture and record quality inspections on-site at the vendors’ location with any iOS-enabled mobile device. 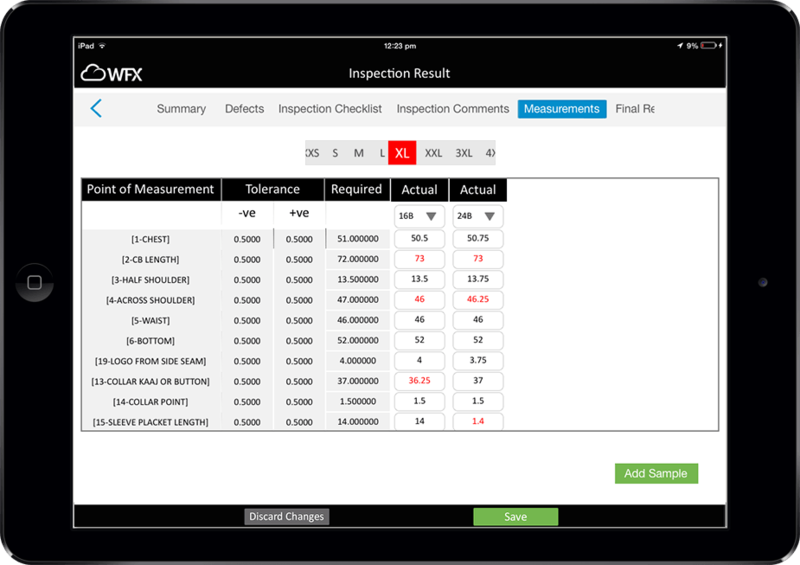 Record and capture data at the inspection location in real time as you perform quality checks & assessments, identify potential quality defects and deviations in a variety of formats including text, photographs etc. 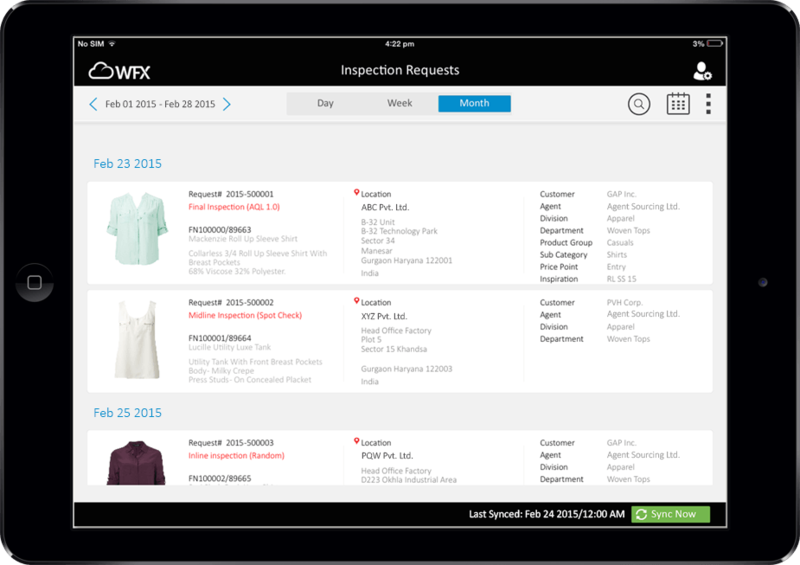 Create, allocate and schedule inspection requests. Easy display of pending inspection Requests on iPAD. With in-built inspection calendar to plan weekly inspections. Google maps integration to track inspection locations with ability to tag inspection start and logs start and stop times. Quickly record actual measurements and instantly highlight points of failure. Capture inspection data even in remote locations with no data connectivity. 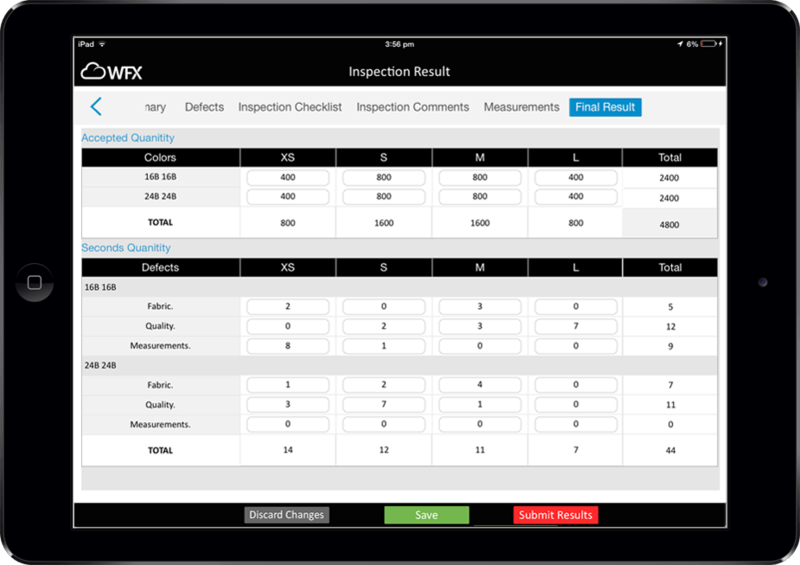 Configurable forms facilitate real time data capturing during factory inspections. Capture deviations & defects, analyze checkpoints with instant transmission of inspection results through online sync tool. 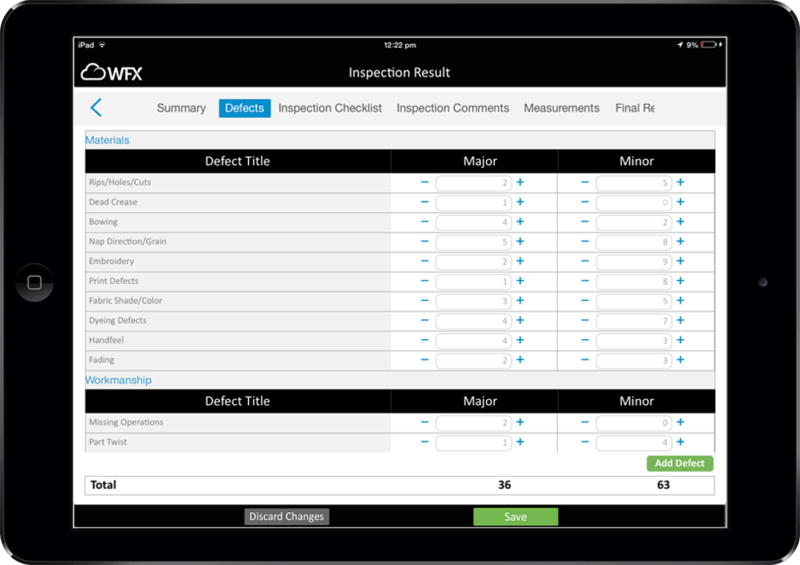 Custom define inspection forms for both in-house & outsourced production. Categorize and classify inspected units into Accepted, Seconds & Scrap quantities. 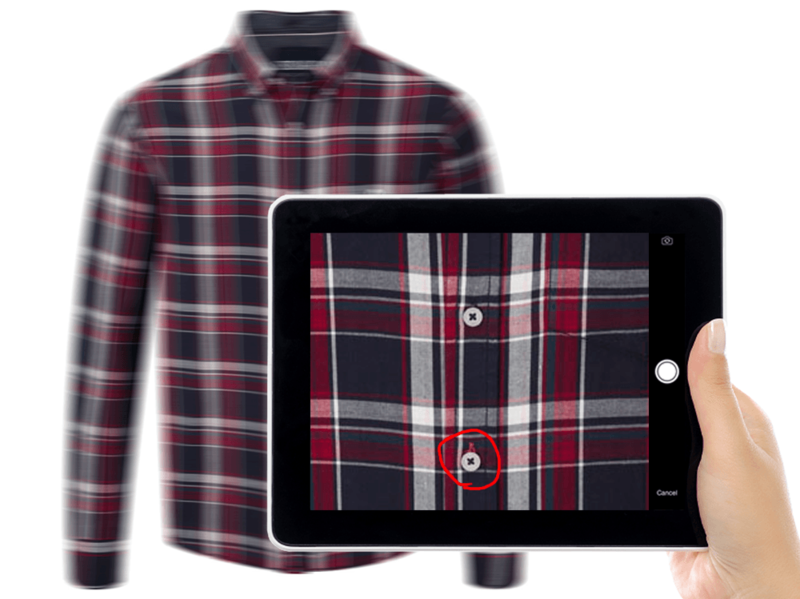 Use the iPad’s in-built camera to capture & annotate inspection photos. Works Off-line! For QC in areas of poor internet connectivity.